Wherever you end up during your travels, catching a sunrise is a truly powerful experience. As the land transforms before your eyes, you are able to get a sense for its power beyond the mayhem of hostels, backpacks, bus schedules, and restaurants. The solitude and majesty of this moment of stillness before the rush begins peels back the layers of a country, leaving you closer to the innate character of the land as the mystery of existence breathes near at hand. Visit the following 5 locations to witness a truly amazing sunrise. Located in southeastern Turkey, this 2134 meter high mountain is a designated UNESCO World Heritage Site. In the first century B.C., King Antiochus built a tomb at the top flanked by a series of massive statues which include depictions of himself, two lions, eagles, and various other Greek, Armenian, and Iranian gods. 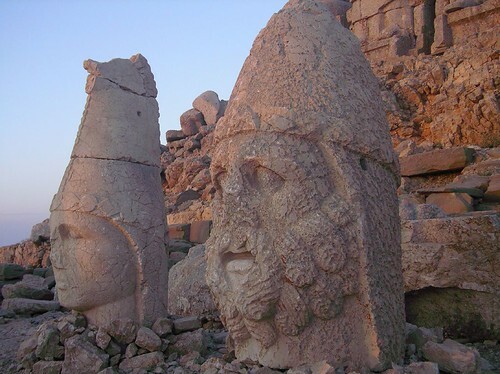 Today, these statues are the only remains of a peculiar dynastic religious program practised within Antiochus’ kingdom, making the mountain a striking and haunting place to visit at any time of day. However, it is the most striking at sunrise. If you can make it up the mountain in time, you will be rewarded with a view of the sun rising over the vast expanse of Turkey, full of snow-capped mountains, red desert, and various lakes, which are all shrouded by the mysterious history of ancient Antiochus and his dynasty. One of the most famous destinations in the world, Stonehenge is a mysterious place with an intriguing history and a spooky aura. Dating from as early as 3000 B.C. and protected as a UNESCO World Heritage Site, the main construction lies at the middle of a dense complex of monuments and burial mounds. While it has been linked to various religious cults and is rumoured to be arranged in some relationship to the sun, stars, and moon, its true original purpose remains subject to speculation. 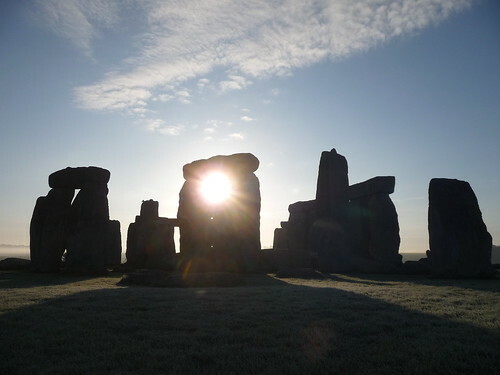 Catch the sunrise at this legendary site – particularly around solstice or equinox – to sense the gravity and mystery that still lingers around it. While Santorini is legendary for its sunsets, to get a different view of the sun head over to Thirasia, Santorini’s smaller, less touristy sister. 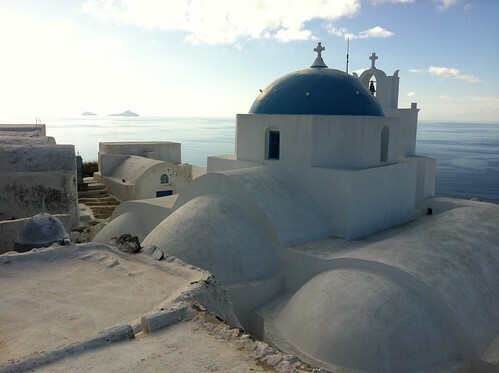 Catch the ferry to this tiny island from Oia and then walk along its length to arrive at an abandoned monastery. Plan to either stay in one of the villages or sleep out at the monastery to catch the striking sunset – rising over Santorini’s striking caldera and iconic white and blue buildings, as well as the looming volcano in the middle – from this remote spot. Sit with the monastery’s ghosts as the bright, burning sun rises over the quiet island, soon to come alive in the sun and crowds of the arriving day. 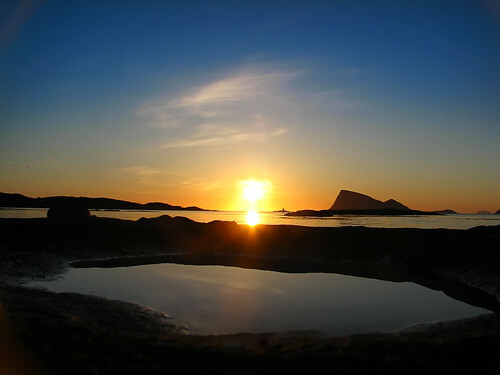 Located north of Norway, this island archipelago is home to the northernmost habitation in the world. While around solstice Svalbard is subject to midnight sun – or, 24 hour daylight – and therefore has no sunrises or sunsets, during the rest of the year it is home to incredible sunrises. And you can witness a great variety: for part of the year the sun will dip toward the horizon and then rise back off it again while at other times it will half disappear or fully set. At all times, however, the quality of light to be witnessed in this amazing landscape is intense and beautiful. Combine it with the reflecting power of the snow and ice-capped landscape around, and it is unbeatable: watch as the landscape around you transforms into a deep hue of orange. One of Turkey’s most unique and striking landscapes, Cappadocia is a popular destination for sunrise-seekers. This landscape is characterised by its incredible fairy chimneys, naturally occurring geological formations that were then hollowed out and transformed into homes for the ascetic hermits of the area. Today, not only can tourists stay in these fairy chimneys, but hot air balloon rides are offered in the early morning so that you can float above the landscape as the sun rises over the hundreds of fairy chimneys and hot air balloons that populate the sky. Jayme Collins, originally from Victoria, Canada, now lives in Berlin and works for GoEuro, a new multi-mode travel search engine. She is still looking for the best place to watch the sunrise over Berlin.